alaTest has collected and analyzed 70 reviews of Panasonic TX-55CX802B. The average rating for this product is 4.6/5, compared to an average rating of 4.3/5 for other products in the same category for all reviews. Comments about the size and design are generally positive. The sound and usability are also mentioned favorably. Many are less positive about the reliability and price. We analyzed user and expert ratings, product age and more factors. Compared to other products in the same category the Panasonic TX-55CX802B is awarded an overall alaScore™ of 90/100 = Excellent quality. Having been a fan of Sony over the years still am . I have been doing a lot of research into 4K tv and Panasonic 55cx802 come in very high on my list, just waiting to see what happens at Christmas when the retailers under cut each other. Took me a long time to decide on this TV. Having always had Panasonic TVs was loathed to try another make. Model looks nice and sleek, picture is excellent. Easy to use - haven't really investigated apps yet. You Tube is quite clumpy to search but you can do it on you phone and transfer to the tv (which is quite cool). Sound for normal viewing ok but will probably invest in a sound bar. 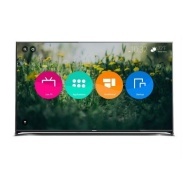 Excellent quality, everything you could possibly want from a smart TV is in this and more. high picture quality easy to use. all features which smart TVs should have. That stand is useless and will not stand on any standard piece of furniture. It's much too wide and not enough depth. Such an effortlessly stylish and unassuming design. Beautiful frame and finish - looks nice in the room without dominating it as so many other large TVs do. Nothing not to like. Like so many TVs these days the in-built speaker at the back faces the wrong way to provide top sound quality, but we purchased a Panasonic sound bar so this doesn't affect us.